The Temperance Hotel has been on my list for some time now and I was keen to finally cross it off. 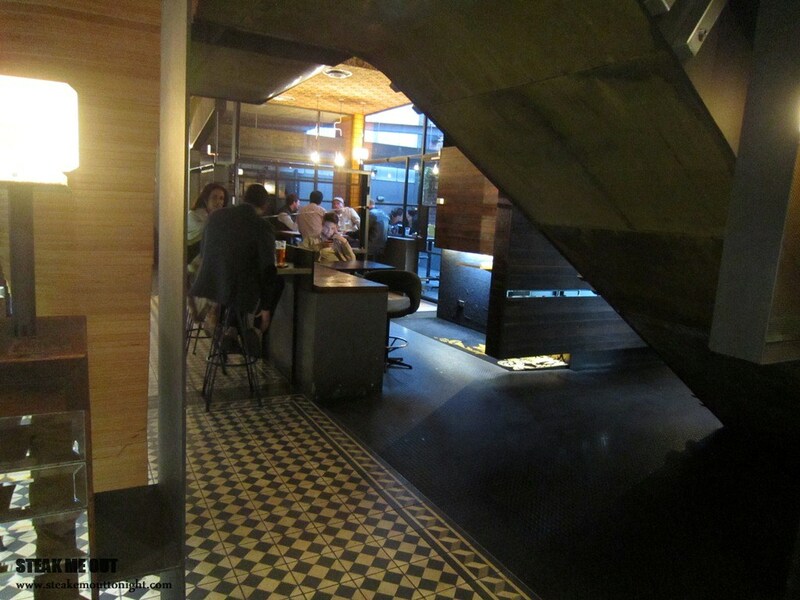 My friend had been here before for drinks and wasn’t too astonished by the inside. I, however, was stunned. I took an immediate liking to the places, suave and sophisticated, wood lined architectural finish and light that complimented perfectly. If I lived this side of the river I could definitely see myself stopping here for a drink or 2 every other night. 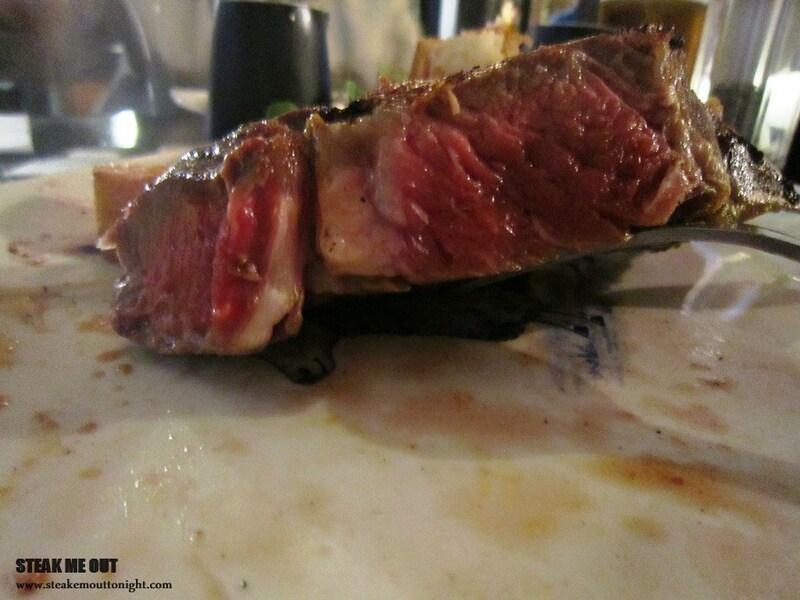 Their steaks were all served the same: “Steak Frites – 150 day Aged Beef” then listed the options, “Rib eye, Porterhouse or Beef Tenderloin” (aka Eye Fillet), below it stated it was served with Pommes Frites, Watercress, béarnaise or red wine jus. To the extent of my knowledge a steak frites is shoestring fries with a porterhouse steak and possibly a sauce. That’s what I was expecting. I went for the Rib eye, mainly because I’d had a couple of porterhouses recently and elected to change it up. It was only 300g, which in my opinion is small for a rib eye, and was hoping the menu was incorrectly written with it being a scotch fillet. The 30 minutes between ordering & receiving was observed eagerly as we were both hungry and pressed for time. Arriving on the table the steak looked good: grill marks, char and a smokey aroma drifting from it. 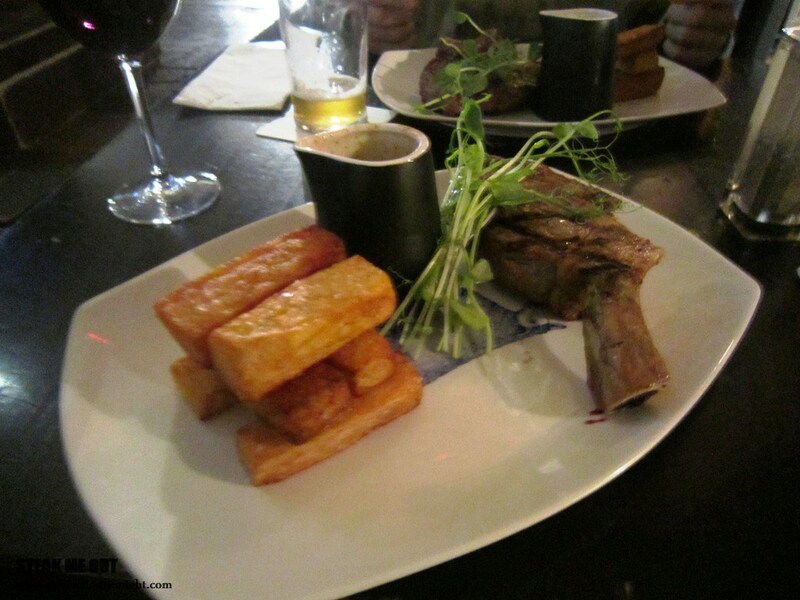 The Chips however were a complete surprise; they were giant planks of potato, with 6 being the amount served. Cutting into it, it was rare with a slight air of unevenness to it having some points closer to medium, my friends was medium at best, some points having no red at all. The flavour was good, salty, and sweet and a little bit of char. Pepper was available on the table. It was tender but nothing of what I’ve come to expect from a rib eye. The chips (planks) were good, fluffy and well salted but the quantity was disappointing. Finally, while the red wine jus was unmemorable in terms of flavour the béarnaise was inedible. For what it was, it was overpriced and left us feeling disappointed; a shame as the Temperance Hotel is a really pleasant venue. This week I’ve decided to include a “Guest Score”. 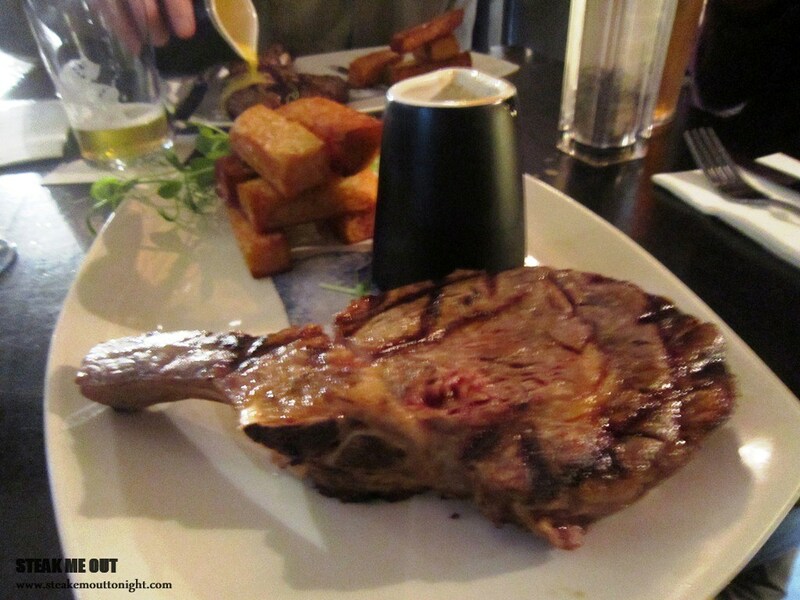 Posted on November 10, 2013 October 13, 2015 by AdrielPosted in Melbourne, MISteaksTagged Melbourne, Prahran, Rib Eye, Steak Frites, Steaks.